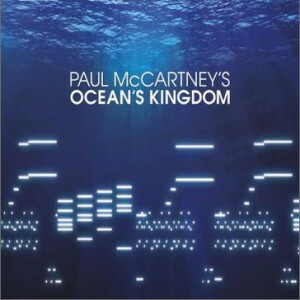 Marking his first foray into the world of dance, Paul McCartney has announced the general release of Ocean's Kingdom, commissioned by the New York City Ballet. The recording will be released by Hear Music/Telarc and is conducted by John Wilson, produced by John Fraser and performed by The London Classical Orchestra. Ocean's Kingdom is the first time Paul has written an original orchestral score or any kind of music for dance and is the result of a collaboration between Paul and Peter Martins, the Ballet Master in Chief of the New York City Ballet, who have worked together to present the world premiere of a new ballet for the company's 2011/2012 season this September. Though the work is Paul's first ballet, he approached the project in the same way he writes all other music, driven by his heart rather than his head and inspired by feeling rather than specific technical knowledge. While this may have been another new turn for his staggeringly varied career to take, Paul knew it had to be influenced by his own personal experience and that he needed to create a story the audience would find equally compelling and moving. Paul's first step was to visit the Royal Opera House to see Adolphe Adam's Giselle, danced by the Royal Ballet. Afterwards, Paul met the dancers and discussed the work with them, realising as he did so that he was still without a central theme to his work. 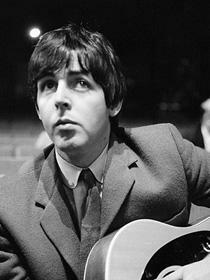 Keen to tell a story through his music, Paul decided to focus on the purity of the ocean and within just two months, the first draft had been completed. He then went through the music again thinking specifically of the ballet itself, thereby creating a world featuring distinctive characters and a vibrant underworld kingdom. Finally Paul spent many more weeks working alongside Peter Martins to refine the work, before Peter created the choreography with the NYCB dancers. An hour long score featuring four stunning movements - "Ocean's Kingdom," "Hall of Dance," "Imprisonment" and "Moonrise" - the ballet tells of a love story within the story of an underwater world whose people are threatened by the humans of Earth. A potently expressive and richly varied work, the score is Paul's most challenging and emotionally complex yet. As he explains: "What was interesting was writing music that meant something expressively rather than just writing a song. Trying to write something that expressed an emotion - so you have fear, love, anger, sadness to play with and I found that exciting and challenging." The premiere of the ballet Ocean's Kingdom will take place at NYCB's Fall Gala on Thursday 22nd September 2011 while the release of the orchestral score will follow on October 4th, available digitally, on CD and on vinyl. It was recorded in June in London. Although this is his first orchestral score for dance, Paul is already quite at home in the world of classical music. His back catalogue already carries four classical albums, the most recent of which was the Classical BRIT Award winning Ecce Cor Meum (Behold My Heart); a work for chorus and orchestra in four movements that was released in 2006.